US President Donald Trump said the congressional testimony of Michael Cohen, his former personal lawyer and fixer, was in part responsible for the collapse in negotiations with North Korea over its nuclear programme last week. 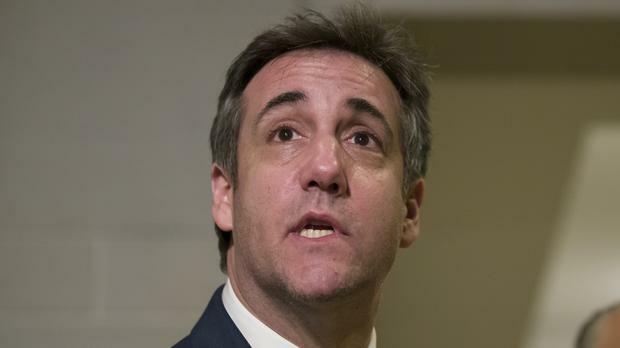 During seven hours of testimony, Cohen said Mr Trump manipulated financial records and knew in advance about WikiLeaks' efforts to release damaging information about his Democratic opponent, Hillary Clinton, during the 2016 campaign, among other allegations. The testimony unfolded as Mr Trump travelled to Vietnam to try to forge a deal with North Korean leader Kim Jong-un over curbing his nuclear programme. While in Vietnam, the president said he walked away from the summit because of a disagreement about economic sanctions, but he gave another explanation for the failure of the talks on Twitter. "For the Democrats to interview in open hearings a convicted liar and fraudster, at the same time as the very important nuclear summit with North Korea, is perhaps a new low in American politics and may have contributed to the 'walk,' " he tweeted. "Never done when a president is overseas. Shame!" Lanny Davis, Cohen's attorney, declined to comment on Trump's tweet. The House Oversight and Reform Committee went through several dates for its hearing with Cohen, who has been called to appear before several congressional panels and is scheduled to go to prison in May. He had been slated to appear publicly before the committee on February 7 but cancelled, citing potential threats against his family. On February 20, the committee said it had rescheduled his testimony for last Wednesday. The president had announced the dates for the summit during his State of the Union address on February 5. Some of Mr Trump's closest allies similarly criticised Democrats for holding a hearing with Cohen while the president was overseas. Republican Senator Lindsey Graham called the scheduling a "new low" and accused Democrats' "hatred of Trump" of undercutting the nuclear talks.